This past weekend marked the conclusion of the 2013 Department of Energy Solar Decathlon, held in Irvine, California. It was the sixth time the DOE-sponsored event has been held in the United States, but the first time outside of Washington, DC. Besides the obvious benefits of exposure to a new audience, the contest made the best of the more dependable California sunshine, although there was some rain one day, and the first weekend was a challenge with hot temperatures and 50 mph Santa Ana winds. In any case each team was able to tally a full 100 points for the Energy Conversion part of the competition – meaning every house produced more energy than it consumed – for the first time ever. To a child with impaired vision, it might seem like magic. You put on the glasses and turn a dial to adjust the lenses to correct the particular refractive error in your own eyes. Voilà! Instant prescription! Instant clear vision! But it’s not magic. It’s photonics. 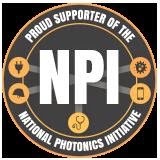 Specifically, these are “instant prescription eyewear” using adaptive optics, techniques that correct optical signals within a particular system. Applications in astronomy provide a good illustration. Light coming in from space to telescopes on Earth is distorted by particles and gases in the atmosphere. Adaptive optics techniques make corrections in the final viewed image, based on analysis of what has caused the distortion, and render a clear image of what’s out there. BILOBA plans to develop and pre-clinically validate a multifunctional point-of-care platform that is capable of performing real-time cancer biomarker detection in a tandem configuration. Such configuration will utilize label-free detection based on the resonance shift, and the spectral analysis of enhanced fluorescence emitted by biomolecules immobilized on the surface. Utilizing both labeled and label-free analysis on the same sensor system can increase the sensitivity and reliability of optically read out surface-bound assays.